Log into your Synology DSM. Open Storage Manager (found under the “Start Menu”) then click on Volume > Manage. Next select Start file system defragmentation and click on Next. If you would rather this be an automated process you can schedule the defrag instead. Log into your Synology DSM and go to Control Panel. 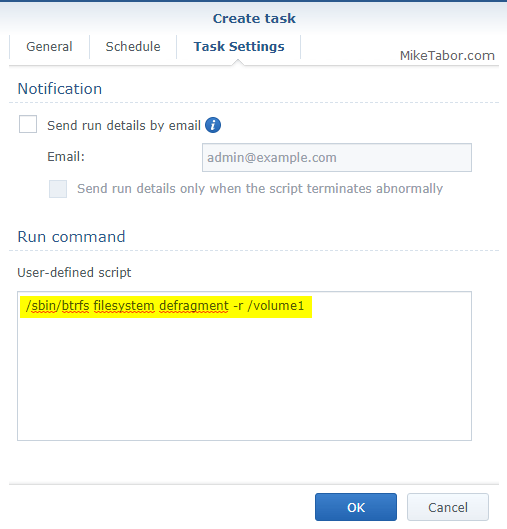 Go to Task Scheduler and click on Create > Scheduled Task > User-defined script. 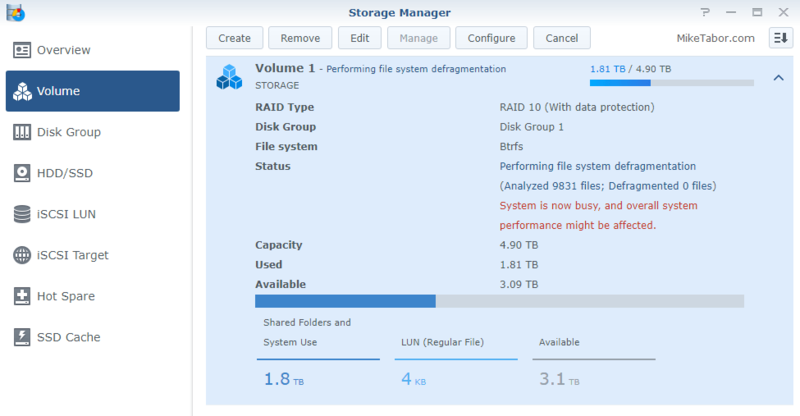 Finally you’ll be taken back to the Storage Manager and will see a message stating that defrag has started. Depending on how fragmented your drives are this could take several minutes to a couple hours. Post in the comments below if you’ve noticed any speed improvements as well after a defrag. Thanks for posting this. It is exactly what I’ve been looking for. However, the script fails with the following errors. Any idea why? Yeah. I’m getting those errors too. Any suggestions?